Don’t forget to adjust your clocks! Daylight Savings Time is coming up this weekend so get ready to spring forward! Daylight Savings Time is a way of making better use of the daylight in the evenings by setting the clocks forward one hour during the longer days of summer. 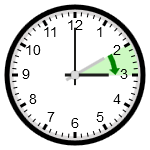 At 2 a.m. on Sunday March 13 our clocks are readjusted forward by an hour. This adjustment will take place automatically on smartphones, computers and tablets, but for those still living with non-automated devices on your wrists or shelves you will have to manually upgrade the time to stay current. Sorry to say we’ll lose an hour of sleep because of the change, but it also means we’re one hour closer to spring…ahhhhh.